Good photo. I quite like seeing things all in one colour or in black and white. Yes, often black and white is more interesting. I like this for the which way challenge – and we could always window shop while deciding the right or left – that lamp really pops. Thanks. And you are right. There’s lots of shopping either direction! 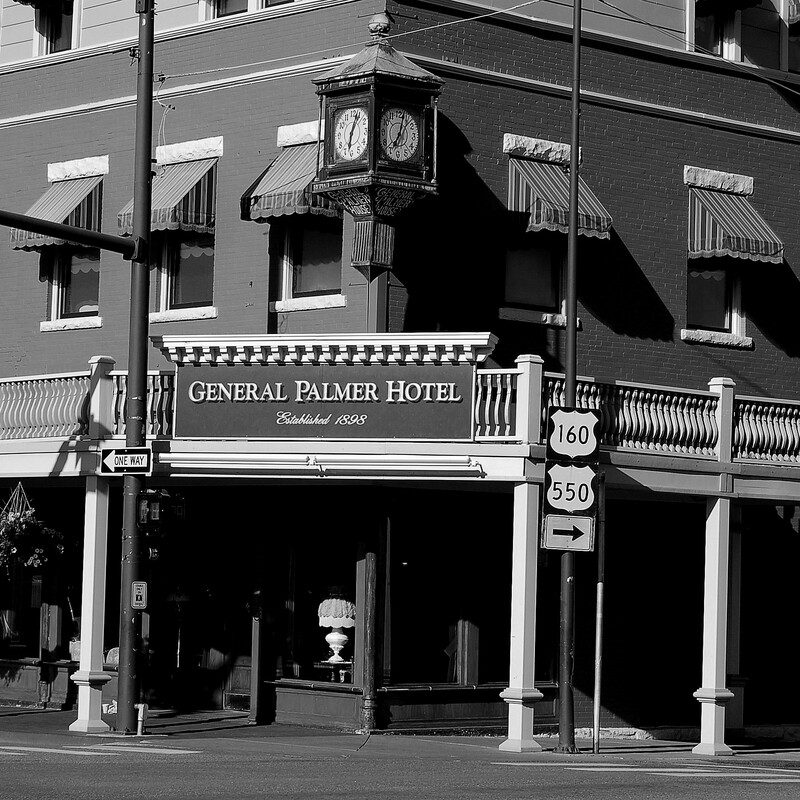 What a neat looking old hotel! Yes. Out in Durango, Colorado.